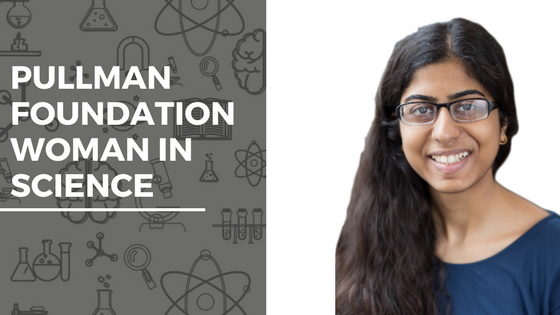 Sofia Ali, a first-year biology major at Loyola University Chicago shares her experiences as a new college student. My first year as a biology major at Loyola is almost over, and it has gone pretty well. The majority of the students are pursuing careers in sciences like biology, chemistry, or nursing, so it’s pretty easy to bump into someone and establish a connection — especially the upperclassmen who have already taken classes I am currently taking. My biology course was a review of the material I learned in my IB classes in high school and chemistry has been a bit of a challenge. But, there are many resources at Loyola such as tutoring, study groups, and practicing example problems that have really helped me succeed. I have labs once a week for three hours, — the class does seem a little long sometimes— but the biology labs are fascinating! During my first semester I was looking at slides in microscopes and drawing images of what I saw, whereas this semester, I have done more dissections and really gotten a chance to interact with different animals from various phyla’s. Dissecting them amazes me and reminds me how similar these creatures are to us, yet are so different as well. It has definitely given me a better understanding of the animals around us and how everything works together in our ecosystem. I’ve noticed that many of my classes have mostly females, whereas males are mostly in the school of business. It’s encouraging to see so many women learning the same things as I am. Knowing I have fellow females working in the same field gives me confidence and a sense of comfort that we are all in this together. It also makes me feel stronger and more confident in my abilities and love of science. I plan on pursuing a career in medical research to help others and hopefully alleviate some of their pain for a longer, pleasant future. I am very excited as I move forward with my next three years in college because I will be learning about new diseases and further advances in the medical community, and hopefully, build upon them in my future.